The camera can be a nightmare, though. 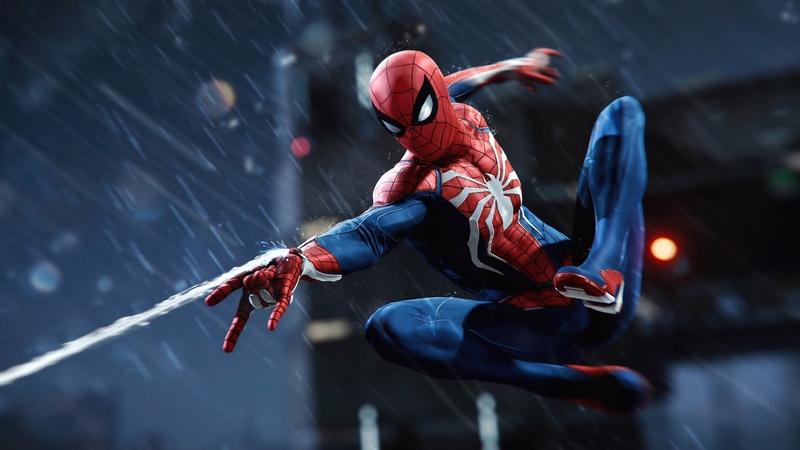 Sony first revealed Marvel's Spider-Man for PlayStation 4 at E3 two years ago, but how it actually plays remained a mystery until now. At this year's show I finally got to go hands on with the PlayStation 4 exclusive. My demo was a little different than what Sony showed off at its media briefing. Rather than a frantic mission during a stormy night above and around New York City's East River, I had an hour to explore a sunny daytime chunk of Manhattan's Lower East Side, mostly as I pleased. Like the stage demo, though, there was a distinct focus on fighting early on. The first mission tasked me to take out a group of thugs in a back alley, which taught me the basics of combat. Essentially, it feels like a faster, more acrobatic Batman Arkham game. Which makes sense: Peter Parker isn't a shredded fortysomething walking around in tactical armor, he's a scrawny young adult in spandex. Controls should be familiar for Arkham veterans, however, and pretty easy to pick up for everyone else. Tap the square button for quick punches and kicks, hold it to launch a goon into the air; triangle fires your selected web-gadget while cross and circle are jump and dodge, respectively. That last one is key to keeping combat flowing smoothly. When your Spider-Sense goes off as an enemy readies their attack, if you hit the dodge button you'll evade them without ever breaking your own attack combo. For example, during one brawl I timed my dodge just right and slid between one enemy's legs while another ran up behind me. The runner tackled his buddy, stunning him and buying me a few moments to pick up a manhole cover with my web-shooters and swing it around in a wide circle, knocking out the surrounding goons. Another time, I dodged and an enemy on a platform above me shot his compatriot as I evaded. I have to admit my fights never looked as slick as the ones from Sony's media briefings. Unfortunately, I have to admit my fights never looked as slick as the ones from Sony's media briefings. It's frustrating, but my own fault, not the game's. In any given encounter, you've got loads of options at your disposal, whether it's ripping a car door off and using it as a weapon, yanking an enemy toward you with your web-shooters or pulling scaffolding down onto goons. There is an awful lot going on and more than a few times I found myself overwhelmed with options. And that's all in addition to zipping around the environment to get the best angle on a fight. Just how does the web-slinging feel? Very, very good. Toward the end of my gameplay session, I found myself swinging around the city and exploring with a giant grin on my face due to how good the traversal felt. That had a lot to do with the sense of weight and speed developer Insomniac imbued Spider-Man with. Sure, I was running up skyscrapers and tumbling through the air with ease, but it didn't feel automatic or without any sense of momentum. The longer you can keep in motion, successfully hitching and releasing web-lines, the faster you go. Release the right trigger just before the bottom of a swing's arc and you'll get a huge burst of speed on your way back up. And you'll need to do a lot of web-slinging to get to the various objectives on the map. One candy-colored orb on the skyline had me stopping Electro from robbing a bank, and another tasked me to jump on a getaway car and pull its passengers out of the windows before stopping said vehicle from crashing into civilians, to name a scant few. For an idea of how much ground you can cover as Spidey, one good swing will propel you the length of a city block. 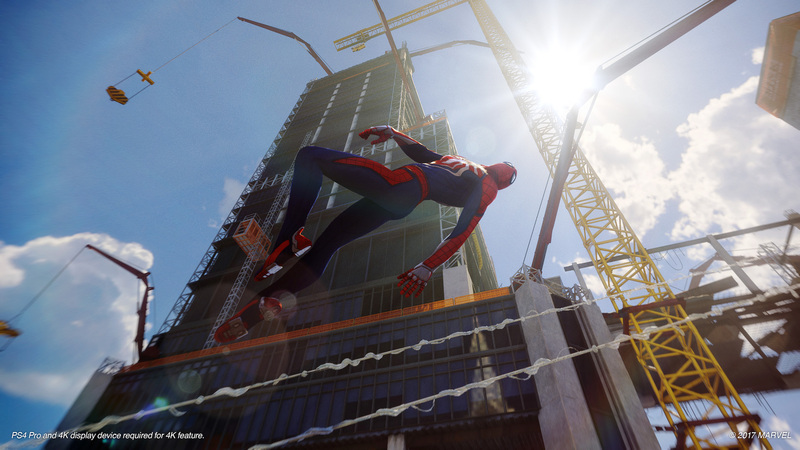 Despite how large the area was, hitting the invisible boundaries of the demo happened just often enough to drive home how fast it'll be to get around Insomniac's recreation of New York. Not everything is sunshine and roses, though. The game's camera, for instance, has a hard time keeping up with how quickly Spider-Man moves. It's great in wide-open spaces and when you're swinging around the city, but indoors, like during that fight with Electro inside a bank, I had to keep aggressively adjusting the camera which made the fight much harder than it should've been. A lock-on system for targeting enemies could go a long way toward to alleviating this sort of gripe. Like Insomniac's last open-world game, the Xbox One's Sunset Overdrive, if you're not constantly in motion, walking around like a mere human feels a bit slow and clumsy — especially when you're at street level. 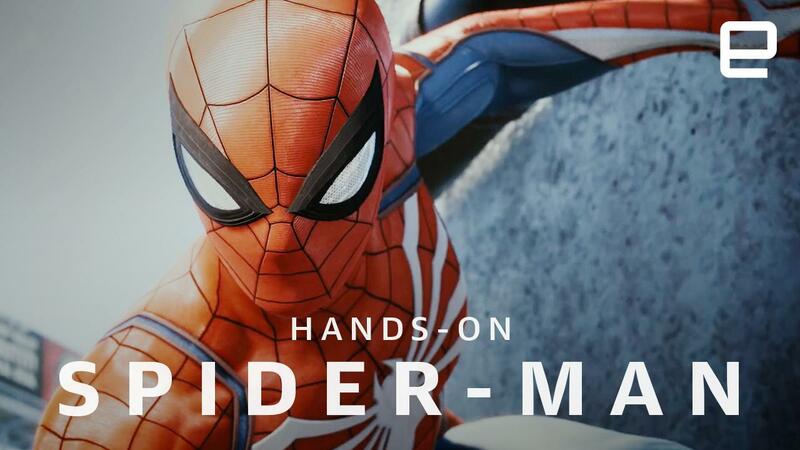 These are things that could be addressed before the game is released this fall, and given just how good everything else feels already, not to mention Insomniac's track record, I'm optimistic that it'll stick the landing come September 7th.